Every dog is unique. They each have their own personality. They all have silly things that they do. Their quirks are what endear them to us. Misha is no different. Well, she may have a few more quirks than most dogs. But, that’s what makes her so unique. Her silly antics are what make me smile, make me laugh, and get me through the day. 1. My dog gives hugs. I am sure everyone has attempted to make their dog hug them. Sometimes it works, sometimes it doesn’t. But, how many times does your dog give you hugs? My dog does. She will climb up on my lap, put a paw on my arm, and put her head on my shoulder. I hug her back until she decides that’s enough. It leads me to believe that hugging is universal across species. 2. My dog sings with the family. When Misha was 6 months old, she did something that I never heard a dog do before. We were celebrating someone’s birthday and broke out into the traditional “Happy Birthday to You”. To my surprise, Misha joined in. At first, I thought she might be in pain. You know, because our singing was so bad. Now every time we sing the song, she sings with us. She’s a one hit wonder though. It’s the only song she sings to. 3. My dog knows the time. Evidently, we are quite predicable. At exactly 4:09, Misha positions herself so she can stare at me. She knows it is time for me to get an afternoon snack. Then, at 4:35, she sits in front of me again and begins to shake. There’s nothing wrong with her. She wants her dinner. At 5:20, she moves her focus to my mom. She lays in front of her and stares because she knows it is cracker time. 4. My dog bounces at the front door when she is ready to take her walk. Say the word “walk” and my dog is overjoyed. She runs to the front door andShe becomes a springing projectile. She jumps up and down at least 5 to 10 times. If I am too slow, she starts another round. Sometimes she decides she’s ready to take a walk before I am ready. I’ll be sitting in the other room and I can hear the thunk her body makes each time she hits the floor. 5. My dog plots her attacks on the vacuum cleaner. I’m sure you’ve seen how crazy dogs are around vacuum cleaners. Some dogs run away in fear. Others charge and attack from the front. Misha goes about it differently. She runs and hides in another room. But, she is not hiding in fear. No…she is biding her time. The second the vacuum cleaner gets close to the door, she runs out, barks at it a couple of times and runs by. Then, she waits in another room and attacks again. Those are just five of the silly things my dog does. Does your dog do anything silly? 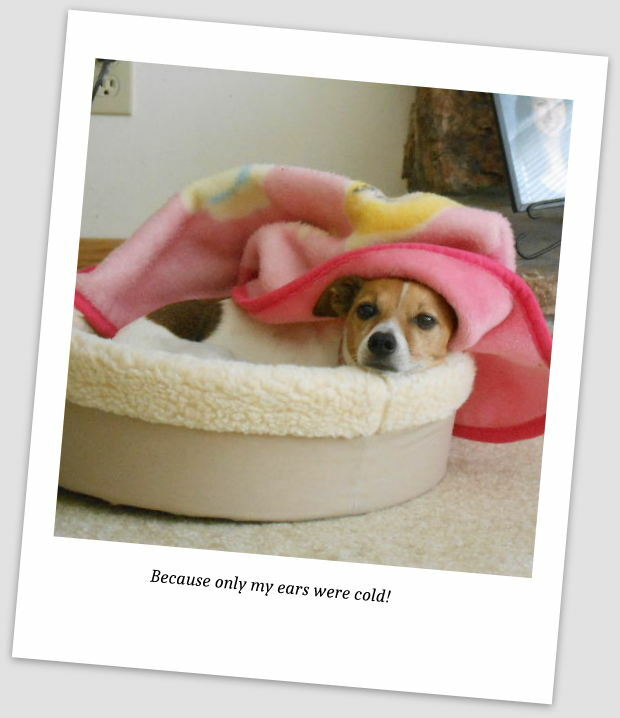 What are your dog’s quirks that you love? Misha is so cute! 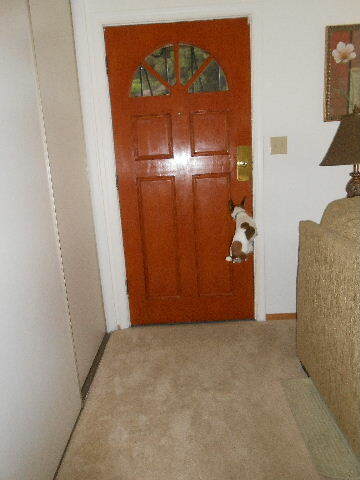 the one of her jumping at the door handle cracks me up! Thank you, Barbara, for your comments! You’d be amazed at how high she can jump. I’ve seen her head above the counters before. Omgosh look at her jumping at the door!! Hahahaha. I just found you through BlogPaws! MilitaryWife, Nice to meet you! Misha is quite the jumper. Those Jack Russell’s have spring in their paws. I look forward to checking out your blog. Thanks for visiting! Misha sounds like quite an entertaining bundle of energy! My dog Tidbit always hugged me. I miss that. Valentino does cuddly things, when he wants to but so far no hugs! And oh my goodness, the clock thing! I swear Valentino swallowed a time clock in his younger years that sounds the alarm at all his times for wants and needs, ha! 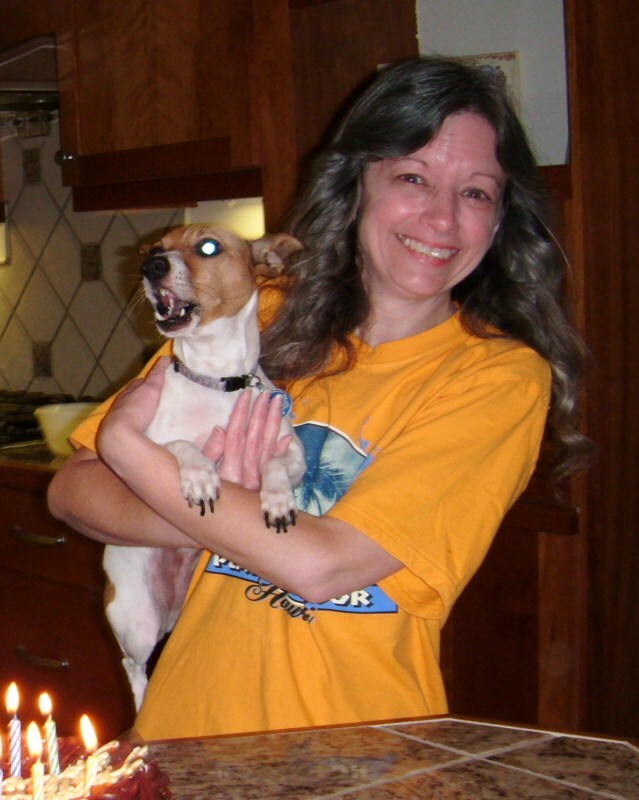 Ruth, One thing I was happy to learn about Jack Russells is there energy comes in spurts. She burns out pretty easily which gives me a break. The funny thing about the hugging is that JRTs aren’t known to be lap dogs. Yet, she loves to be on my lap giving hugs. Dogs have that whole “telling time by the sun” thing down pat. LOL I remember how Sierra could be napping and at exactly 4:55 she would wake up and face me. Dinner was at 5pm.